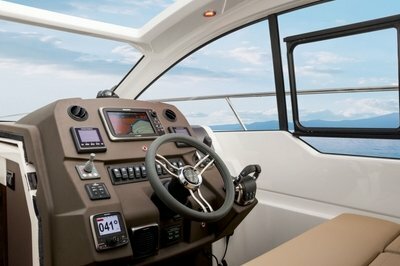 Azimut Yachts materials have been designed and developed to offer users the most accurate representation of the yacht possible. The finish, standard equipment and range of optional on offer may vary from hull to hull. 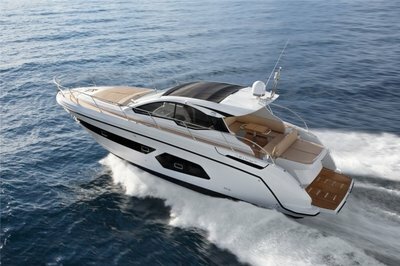 Continue reading for more information on the Azimut Atlantis 43. 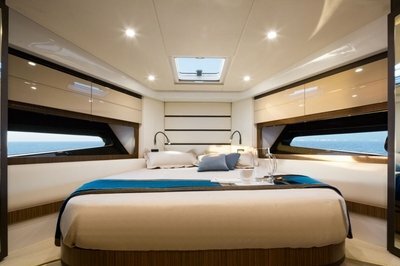 The deck hatch, skylights and oversized side windows flood the boat with natural light throughout. Hanging lockers, cupboards, storage units: there is a dedicated place for everything on board. The deck area is the real centerpiece of this boat. 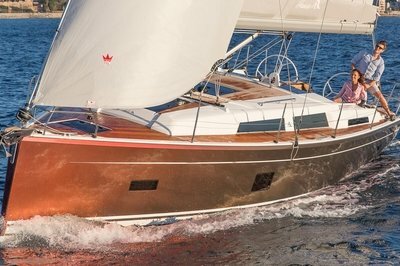 Versatile and functional, it features two large sunpads, both big enough for three, one aft and one on the foredeck. 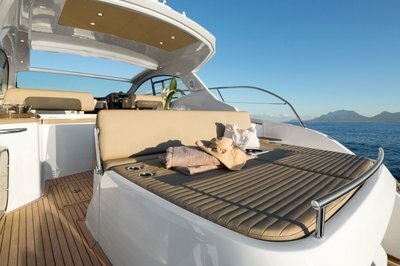 The lounging area next to the helm transforms instantly into forward facing seating. Two cabins, two heads with separate shower stalls and up to seven berths. Could you ask for more? The Atlantis 43 is set to become the new benchmark in her class. 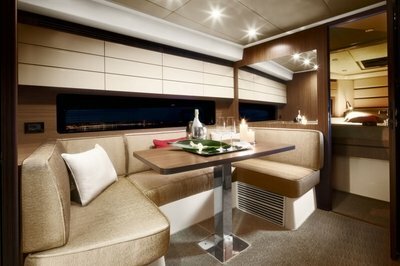 Excellence ‘Made in Italy’ aboard the new Atlantis 43. With the option to specify top Italian designer fabrics to complete the interior in elegant style. At Guest Cabin Gives You Twin, Queen Or Even Three Berths. Twin beds slide together to create a unique queen sized bed and, as if that weren’t enough, there is the option to add a third bed to port if required.